Norway has signed a deal with the Dutch to rent 242 prison places in a bid to deal with lack of jail space, and cut the queue of criminals waiting to serve out their sentences. Norwegian Justice Minister Anders Anundsen signed the deal with the Dutch State Secretary Fred Teeven at Norgerhaven prison near the Belgian border, the Local reports. "For Norway this is historic. This is the first time we have entered into such an agreement with another country," said Anundsen. The deal was first mooted in September and aims to cut the 1300-strong prison waiting list. Norway has a short-term deficit of prison places because facilities are being revamped and renovated. "We inherited a challenging situation from the [previous] government. To achieve a much-needed expansion of prison capacity in the short term, we've started talks with Dutch authorities on renting prison capacity in the Netherlands," Anundsen said in September. The deal is to be approved by the Norwegian parliament. The policy is not without its critics in Norway. Haida Tajik, the deputy leader of the Labour Party, has argued that the money would be better spent building and expanding Norway’s own prisons to meet demand. While others have raised concerns about the distance friends and relatives would have to travel to visit inmates. But Vidar Brein-Karlsen, a spokesman for the justice ministry, dismissed these concerns. “Norway is a long country and sometimes we have people convicted in southern Norway being incarcerated in northern Norway. The distance from Oslo to the Netherlands is shorter,” he said. The move is not unprecedented. The Dutch, who are closing 19 prisons, signed a deal with Belgium in 2010 to lease over 600 jail places. 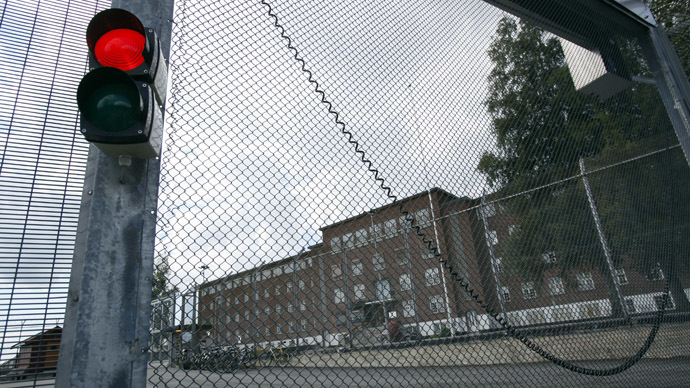 In 2013, Norway asked Sweden if it could rent out their prison spaces in what has become a pressing problem for Oslo. That’s despite having one of the lowest re-offending rates in the world of 20 percent. Earlier this year, Switzerland announced it’s considering transporting detainees to Germany or France because of overcrowding in its own prisons.